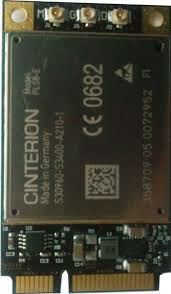 Gemalto's Cinterion� PLS8 LTE cellular machine-tomachine (M2M) module offers a smart solution for wireless connectivity today and in the future. With the 3GPP Rel. 9 LTE technology, PLS8 is optimized for high bandwidth computing, enabling highest available speeds for up- and downlink in mobile networks.